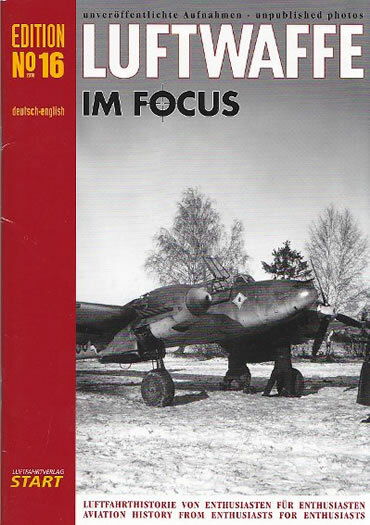 Living up to the high standards of its predecessors is issue 16 of “Luftwaffe Im Focus”. There are 48 pages between the soft card covers with both the English and German languages being catered for in the text. The publication is divided up into a regular series of chapters, with each one concentrating on a specific topic. Of the 56 period photographs presented, 6 are in full colour. As before, we find a selection that are published here for the first time and complimenting these are maps, illustrations and a couple of superb aircraft profiles from Claus Sundin. The Reader’s Forum starts the ball rolling, followed by an interesting selection of photographs which feature a diverse range of aircraft. After this assortment of fighters, bombers, transports, and reconnaissance machines, we get the equally popular range of structured topics. Tails – Takes a look at the victory markings found on the tail of night-fighter pilot Adolf Breves. Also discussed is an unusual piece of artwork found on the fin of a He 111. Personal Emblems – This issue examines the personal emblems found on the Do 17s of II./KG2. Accompanying the article is one of the artist’s many pieces of work. Colour Photos – Here we see a selection of colour images associated with Me 262 production in the “Kuno I” forest factory. A map of the area shows the relative positioning of the aircraft found in the photos. Portrait – This is a comprehensive look at the career of Oblt. Theodor Haker who served with I. and II. St.G. 77, as well as I./SG 77. He flew more than 900 sorties before his death at the age of 23. Unknown Emblems – The “Weather Chart” emblem of Wekusta 51 was introduced in the autumn of 1939. It’s shown here on one of their aircraft and is also illustrated in colour. 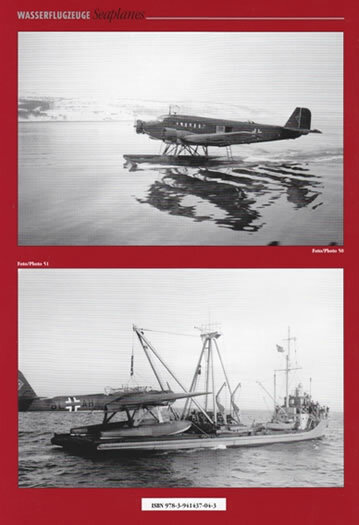 Photos with a story – No less than 10 pages are devoted to the history of the 3rd Staffel of Jagdgruppe 10. As well as wearing their “I1” unit code, many readers will be familiar with the brightly coloured snakes adorning the sides of their Focke Wulf 190As. Just as interesting is the single launch tube for the 210mm rocket that took the place of the fuselage mounted ETC 501. Two lovely aircraft profiles compliment the excellent photo coverage. Scenery – The Russian winter proved to be real challenge for the German “Black Men”. So much so that we see bombs being used to weigh down aircraft against the strong winds. Fate – The final chapter in this publication looks at the story of a 1. (H)/23 Pz. crew that was killed on the first day of the Russian campaign. The photos will be new to all but a selected few, and their reproduction is as good as the original image will allow. The artwork is first-class and perfectly complements the related article. Clearly it is a book compiled by enthusiasts...for enthusiasts.